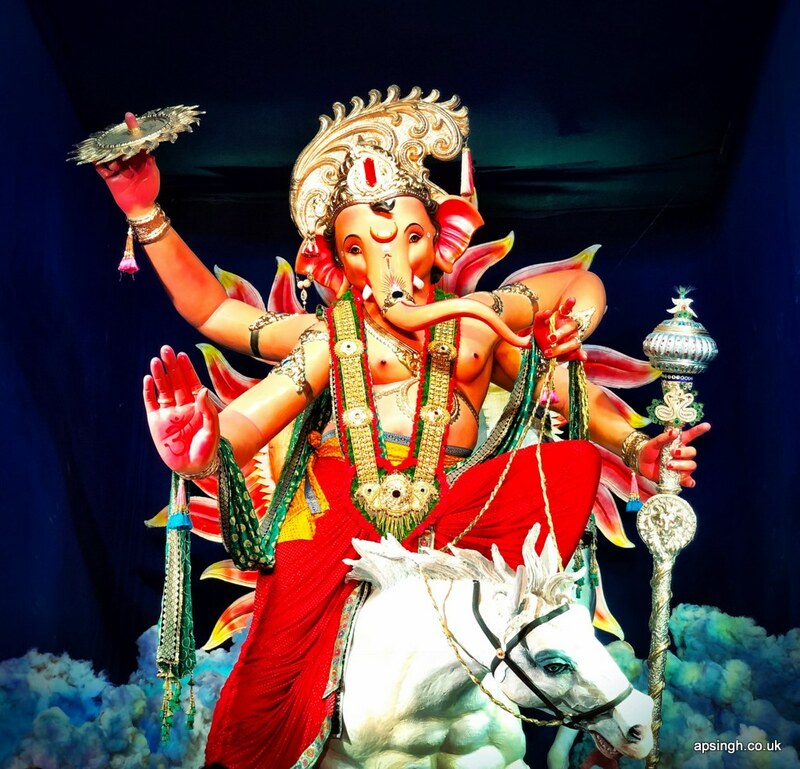 Ganesh Chaturthi, As a Mumbaikar! “You will be in Mumbai during the Ganesh Chaturthi”, that’s what my wife predicted about 10 days before the Ganesh Chaturthi festival, when I returned back to Bangalore from Mumbai. I did put a wager on it because I was sure that I am not going back to Mumbai soon. Little that I know that I will be back in Mumbai again within a week. Ganesh Chaturthi is also known as Vinayaka Chaturthi, is one of the important Hindu festival celebrated throughout India with a great devotion. This day is celebrated as the birthday of Lord Ganesh, the elephant-headed son of Lord Shiva and Goddess Parvati. Lord Ganesh is the symbol of wisdom, prosperity and good fortune. Since I was in Mumbai, I decided to make the most out of it, as this could be the once in a lifetime opportunity for me to be part of most celebrated festival of Mumbai. 13 Sep 18 4:00am – The alarm clock went off, me being lazy, decided to catch up with more sleep. To my bad luck (or good), I got call from my mates to inform me that they are ready and waiting for me. I dragged myself out of the bed, got ready and soon I was on my way to the rendezvous point. 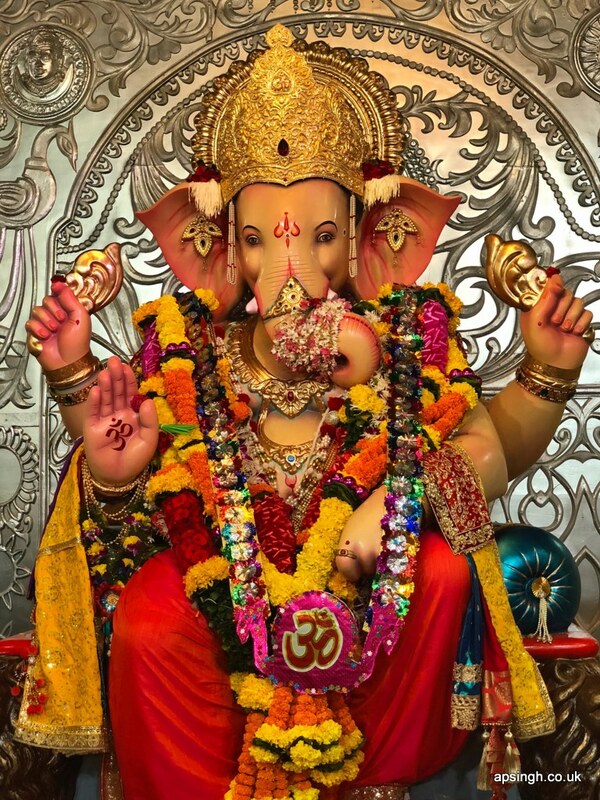 The tradition of setting the Ganesha idol at Lalbaugh started in the year 1935. This is the most visited places in the city during the Ganesha Chaturthi time. We reached the queue starting point around 5:30am and joined the queue. The queue was around 1 km long. It took us about 30 minutes to reach a tented area where the whole crowd had to go through the zig zag lane queue, a bridge to cross over to the other side of tented area and another zig zag lane. This took another 30 minutes and finally, we were in the street from where the Ganesha Idol was visible. We walked along the street for another 20 minutes and reached near the idol. 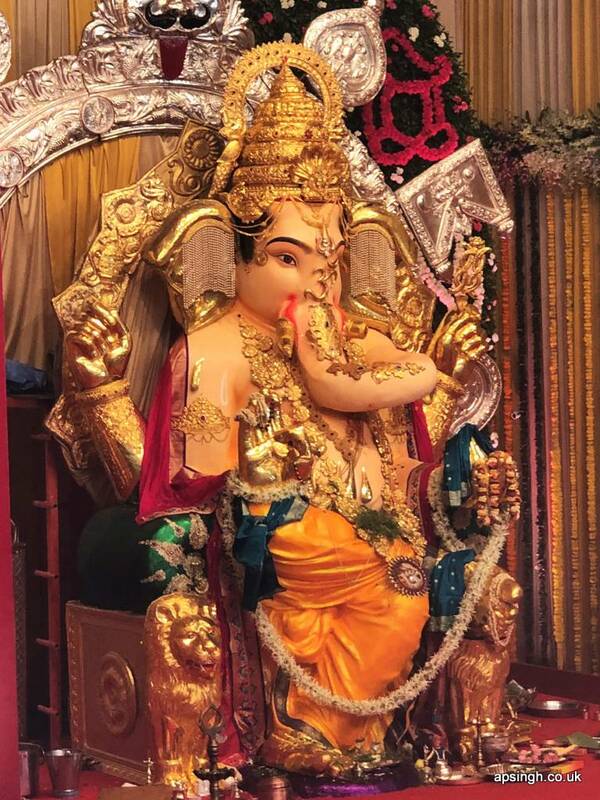 The idol was about 40 feet tall, pooja was going on, devotees were chanting and shouting slogans “Ganpati Bappa Morya“, the whole atmosphere was mesmerizing. The darshan time was very less, we were not allowed to stand for more than 30 seconds. Although it was the short stay after the long wait in the queue, but it was worth every second we spent. 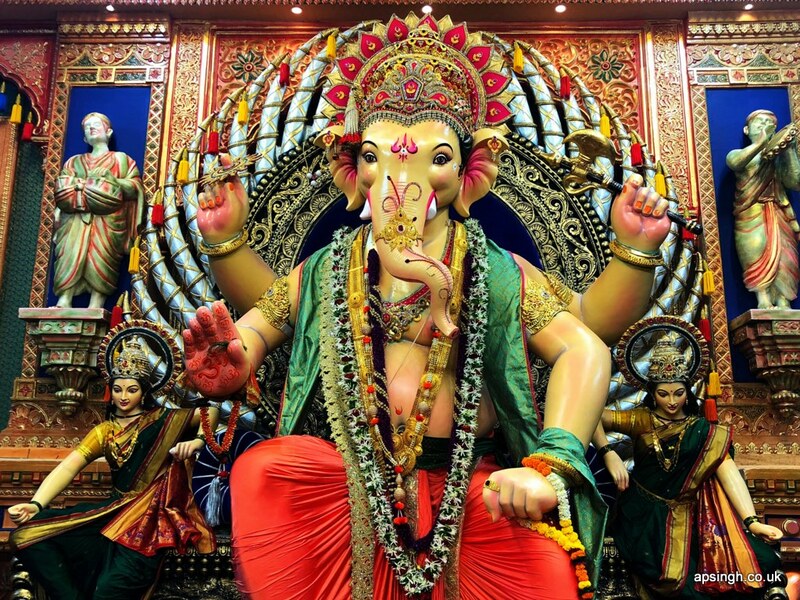 13 Sep 18 7:30am – The ‘MumbaiCha Raja’ is displayed in the Ganesh Galli about 300 meters from ‘LalBughCha Raja’. 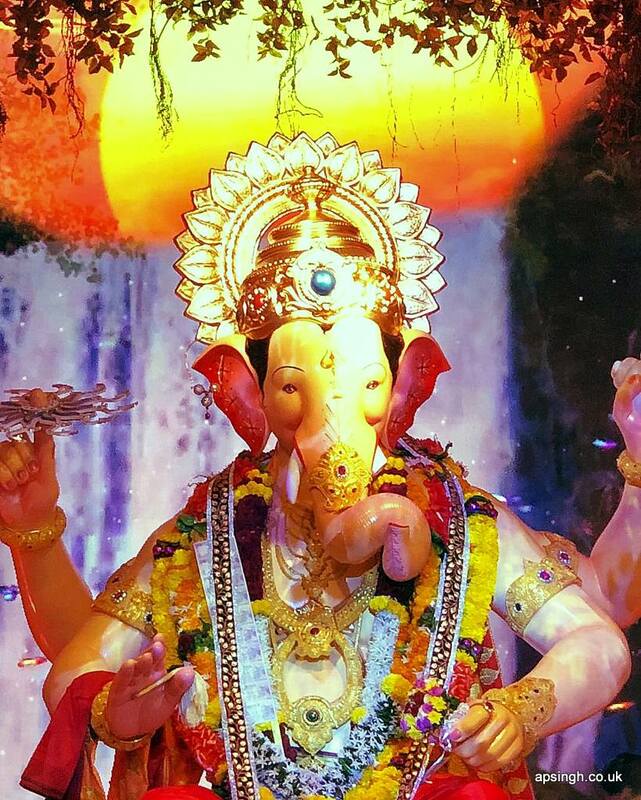 The tradition of setting the Ganesha idol at Ganesh Galli was started in the year 1929, this Mandal was formed for the benefit of mill workers living in the area. This is the oldest Ganesha idol display in the area and known to be showcasing a different theme each year. Soon we were part of another queue. This queue was much shorter than the previous one, but the speed of the queue movement was same. It took us approximately 40 minutes to reach the area where Ganesha Idol was placed. Since the crowd was less, we got good quality time to see the displayed idol and click some pictures without being hassled by the guards to move. Around 8:30am we were back on the street, now looking for the breakfast to settle down our rumbling tummies. 13 Sep 18 10:00am – After the breakfast we made our way to the third destination of the day ‘GSB Seva Mandal’. 13 Sep 18 10:30am – We reached the GSB Sports Club grounds joined the walkway which was set up for Ganesha Darshan. Known as “Richest Ganesha” of Mumbai, the idol is usually decorated with real gold ornaments weighing up to 60 kilos of gold. The GSB Mandal, was founded by the Gowd Saraswat Brahmin community from Karnataka in 1954. The philosophy behind “Tula Daan” is simple. Actually, it is said that you offer something equivalent to your weight to the God. Since there were no queues for the darshan, we had quality time at the viewing platform, capturing the finest moments. Around 11:15 am we were exhausted and decided to cover the remaining places in the evening. 13 Sep 18 6:00pm – We made our way to see ‘Khetwadi Ganraj’ which is located in Girgaum. There are few streets in Khetwadi who carry on with their own theme of Ganeha Idol display, but the Lane 12, Khetwadi has its own charm. The Mandal established in 1959 and became famous in the year 2000 when they displayed the highest Ganesha idol, standing 40 feet tall. Khetwadi Ganraj is considered to be one of the most spectacular Ganesh idols in Mumbai, decorated with gold and diamond jewellery. It took us approximately 45minutes to reach the air-conditioned hall where the Ganesha idol was displayed. The decoration on the walls, the symmetry of decorative items and the idol was stunning. 13 Sep 18 8:00pm – It started drizzling by the time we reached for our final stop of the day in Andheri to see ‘AndheriCha Raja’. The Mandal established in 1966 and considered to be very recent compared to others. This has gained the reputation of fulfilling the wishes of devotees hence the ‘Ganesha Idol’ attracts a lot of crowd. The compound is normally themed to give inspiring public message. When in Mumbai you must enjoy the rain, we didn’t bother to find and umbrella or shelter, and joined the queue while it was drizzling (hoping that it doesn’t turn into a heavy rain). Seems our wish was granted, and the rain stopped. The queue moved quite rapidly, and we did get to see the idol within 30 minutes. There are many other idols, worship places, spectacular themed Mandals available around the town during the Ganesha Chaturthi time. I’d recommend exploring them, no matter where you go, you will see breathtaking idols, celebrations and enthusiasm to celebrate the festival.